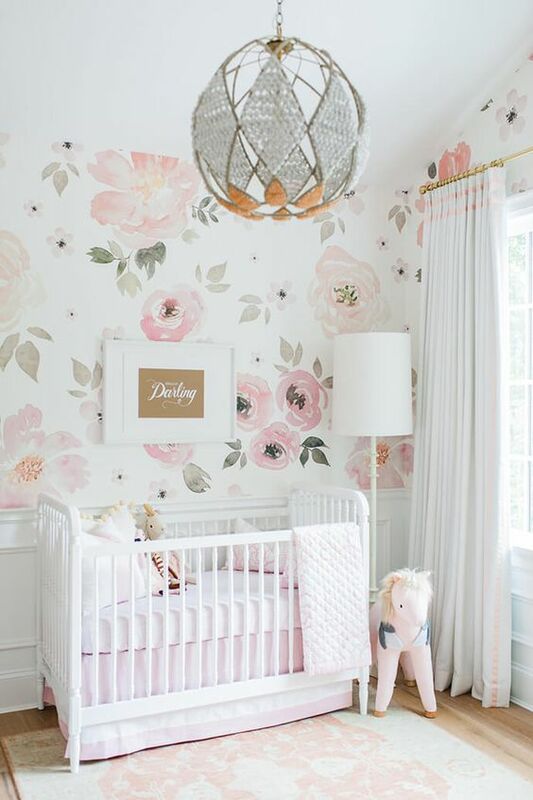 As I have said many times before nurseries and kids rooms are some of my favourite spaces to decorate.There is something so wonderful about creating a space for a sweet babe to feel soothed and relaxed once they have entered into the world. 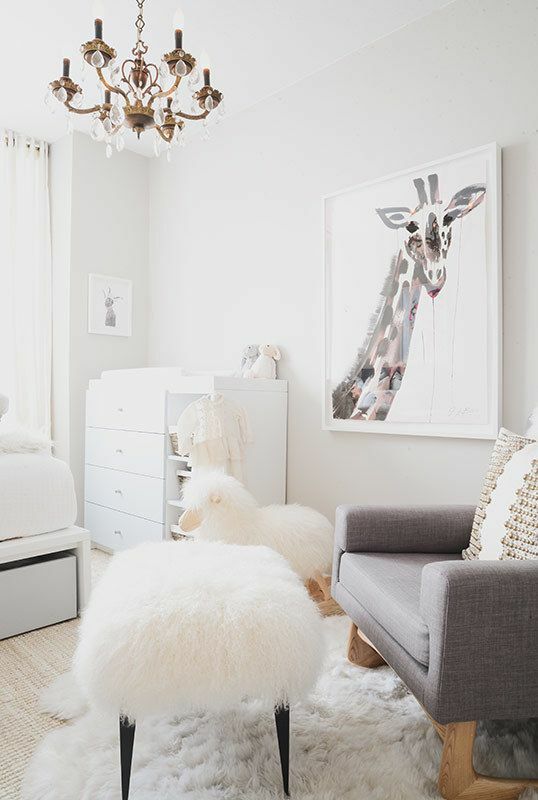 I believe a baby's nursery should transition as they grow with it being a very neutral and calming space for the first year and then moving into a mix of relaxed and stimulating as they grow into toddler-hood. I thought today I would share my top 5 essentials for a nursery and what I think have the most impact in the space, so let's jump into it! 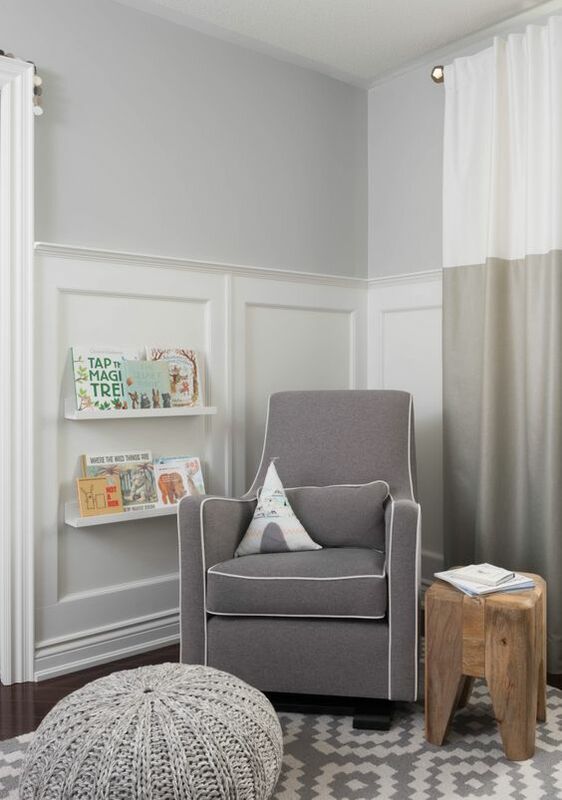 This may seem like a no brainer to some but a lot of people tend to skip this step but it truly makes the biggest difference in your little ones room. I suggest going with a neutral shade whether it be a grey or taupe, or a soft pastel. These colours have the most longevity and you and your little one are less likely to tire of the colour. Plus, soothing colours promote rest and sleep and who doesn't want their baby to do that! 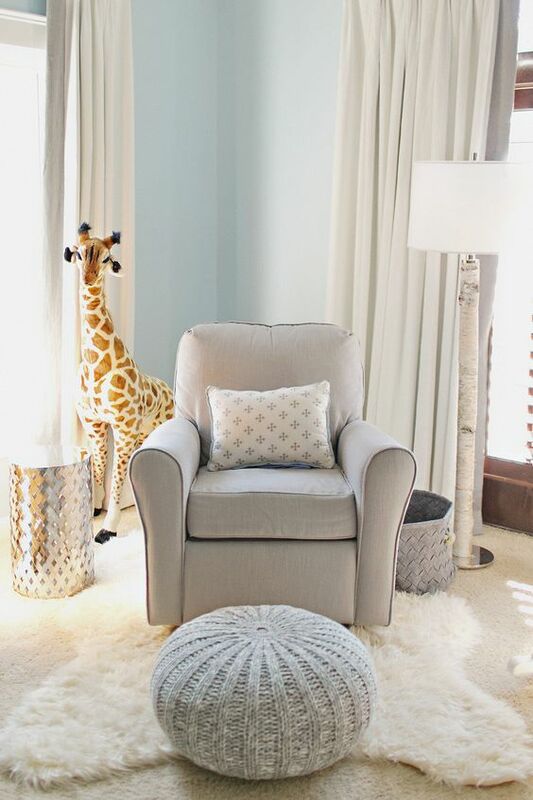 A rug is such a great piece in a nursery, it provides comfort under foot and is also a cozy place to lay baby for tummy time. It's also a great place to bring in some pattern if you feel so inclined and is easy enough to switch out. I find nurseries are a room where you can get away with a slightly smaller rug if need be, however if your able to, I recommend going larger. This is so important in a nursery because as I am sure you all know babies come with a lot of "stuff". 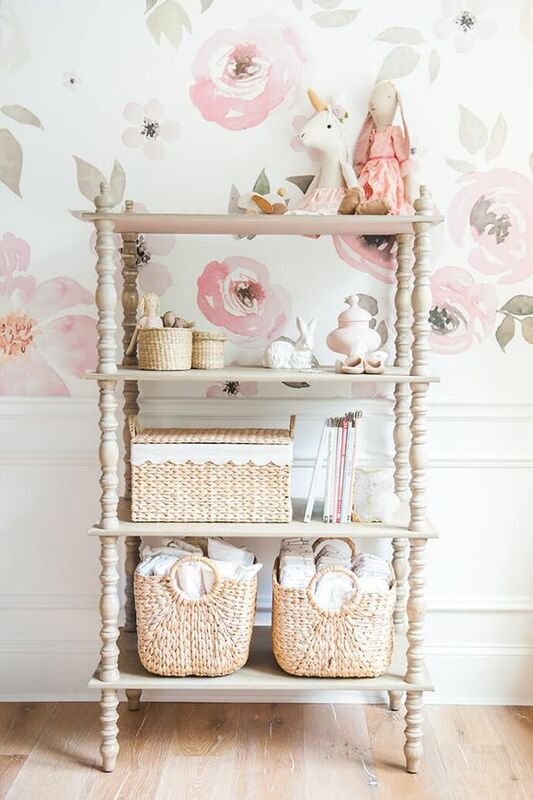 Finding stylish ways to either display some of these items or have them tucked away is necessary. There are lots of great storage pieces out there that hit every price point and every different style you could be looking for. 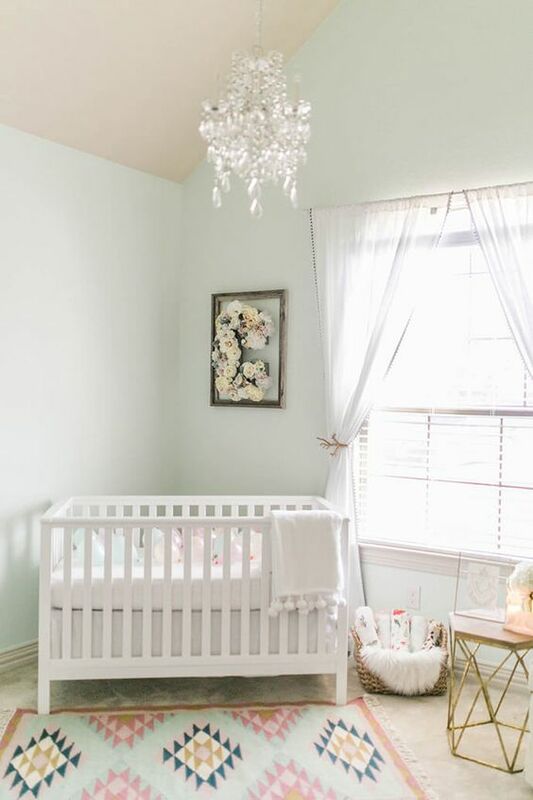 In my opinion aside from baby, a glider is one of the most important things for your nursery. You will spend many hours in it feeding your baby, soothing them with the motion, reading to them and just having sweet snuggles and trust me- you want to be comfortable for all of that. I suggest paying as much as you are able to for a nice quality one that will stand the test of time, especially if you plan on having multiple children. I feel like lighting often goes forgotten in the nursery but it makes such a difference in the ambience of the room. You will be tending to baby all hours of the night so having a soft lamp to turn on is crucial. I repeat crucial. You do not want baby getting to more awake then they are in the night by switching on a bright light haha. I personally love having one right beside my glider that is easy to switch on and off when sitting down. Five nurses essentials is here. We all saw them they are showing their work in photos where they treat their work in best https://www.essay-to-go.net way. Sometime we are selecting that designs for us.